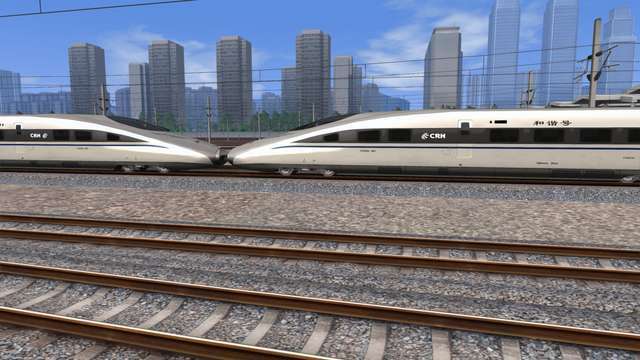 The CRH380A is the newest generation of Chinese high speed train, capable of running at 380 km/h and one of the fastest and most advanced production trains in the world. 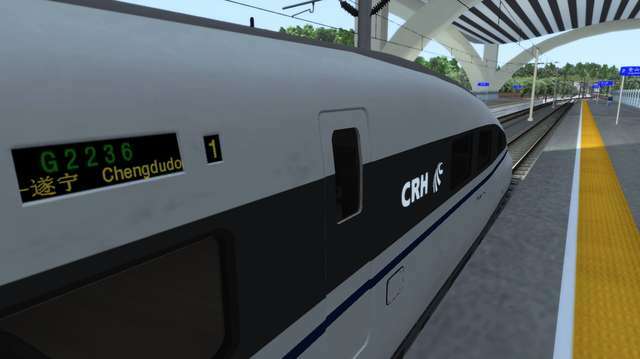 The CRH380A uses state-of-the-art flat-screen glass panels to display the train information as well as the route speed and signal data from suitably equipped routes. 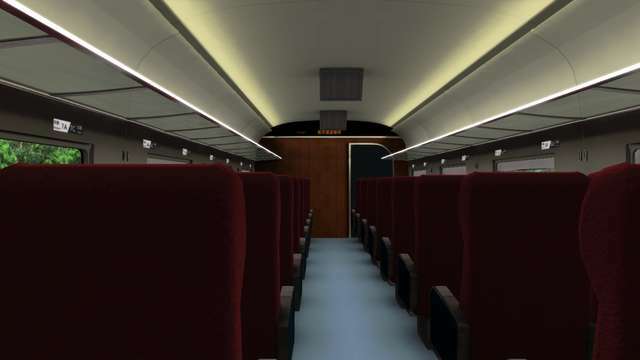 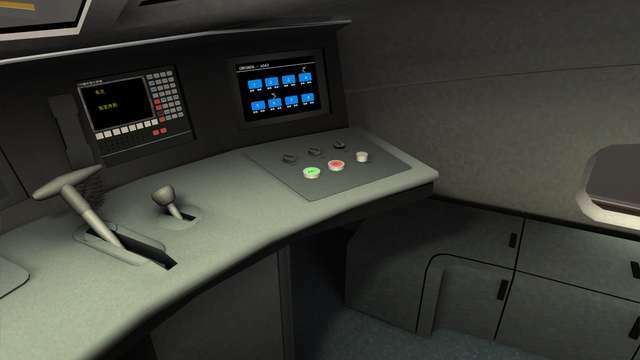 It can be manually driven or set to use the on-board computers to drive the train from a standing start at your departure station to your destination with not much more effort than adjusting the cruise control to comply with the speed limits. 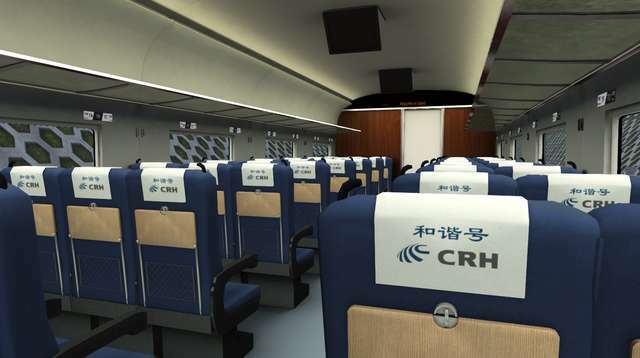 As well as the standard CRH380A Passenger train a CRH380AJ-0203 Comprehensive Inspection Train version is included. 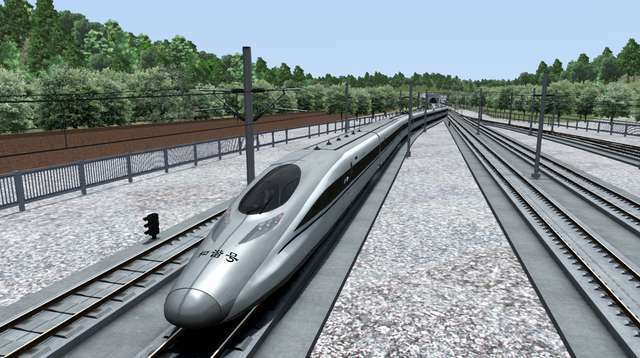 The CRH380A is designed for and interacts with the CTCS-3 (China Train Controlling System) speed and signalling system that is included in the Chengdu-Suining High Speed Route and the Southwest China High Speed Rail Network routes that are both available to purchase from Just Trains. 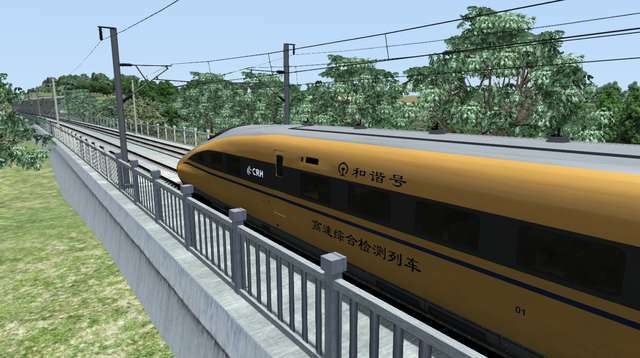 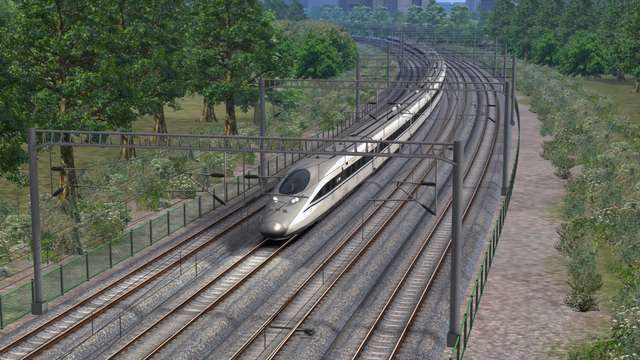 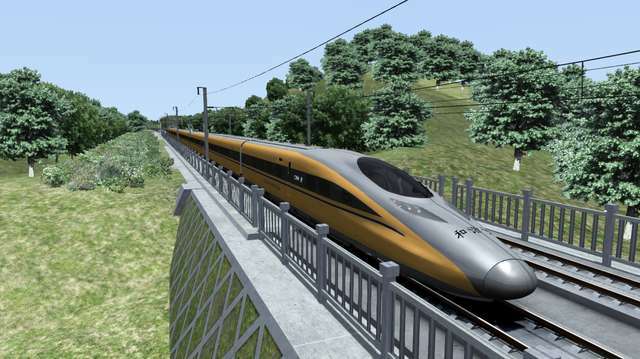 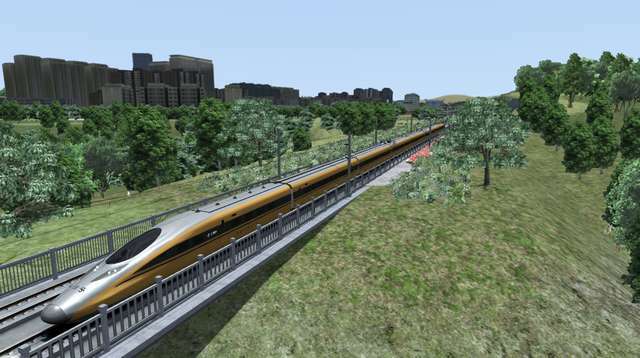 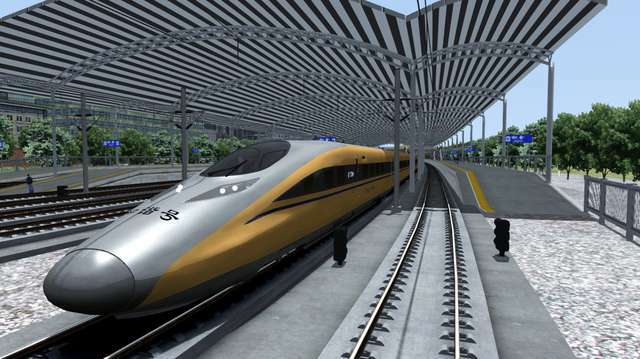 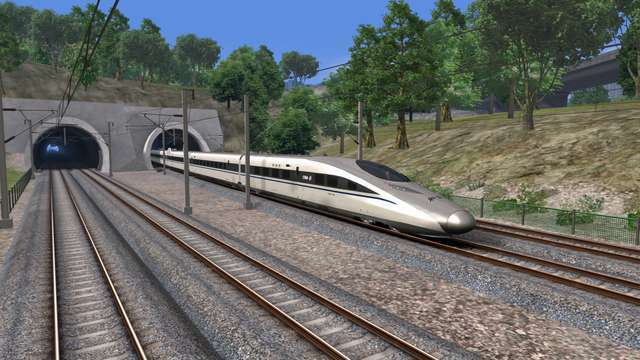 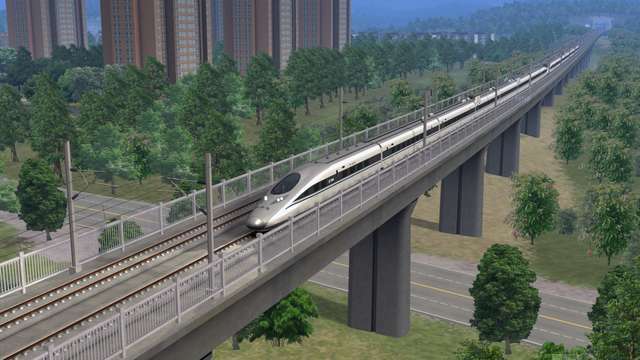 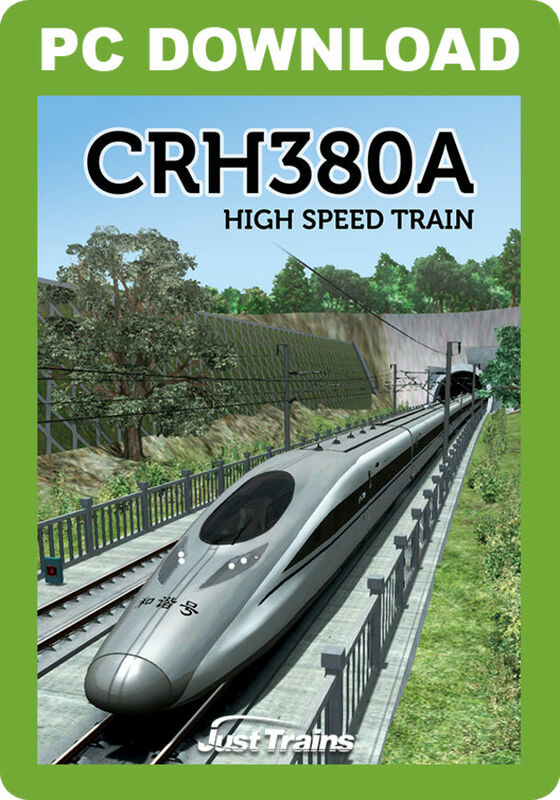 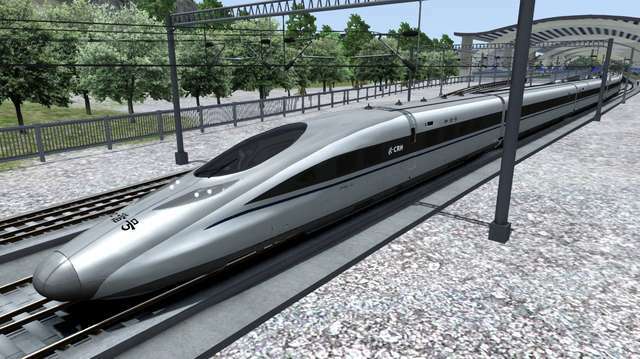 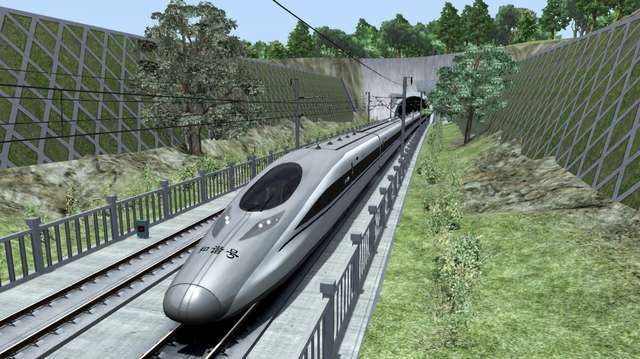 This CRH380A expansion comes with a set of five scenarios designed to be used with the Southwest China High Speed Rail Network route (not supplied with this CRH380A software but available to purchase from the Just Trains website). 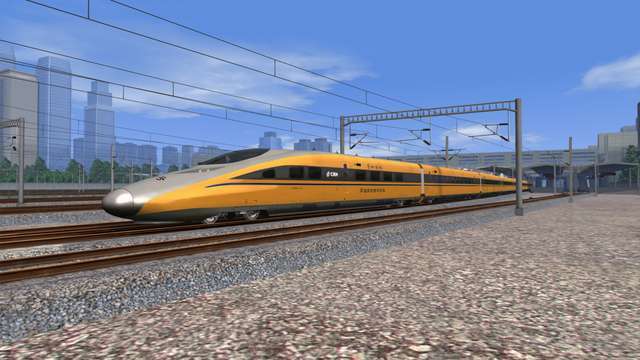 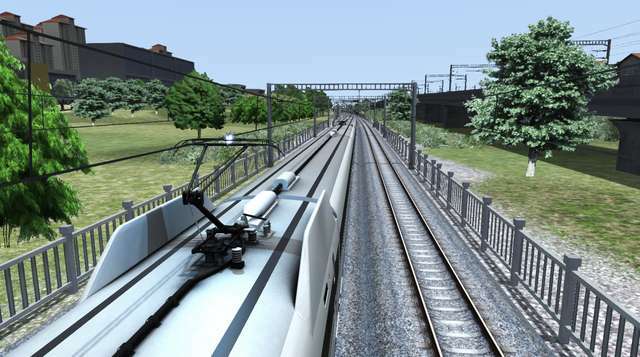 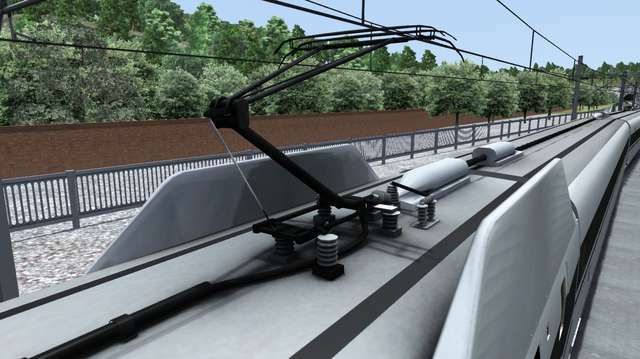 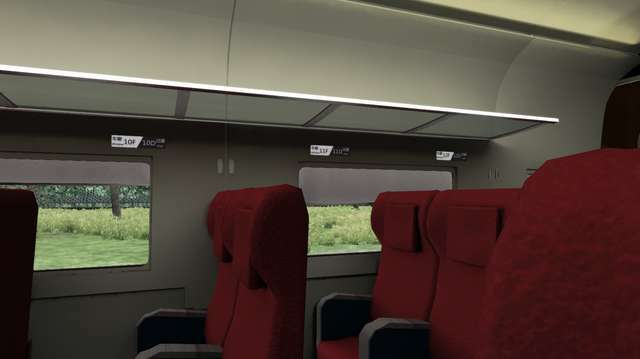 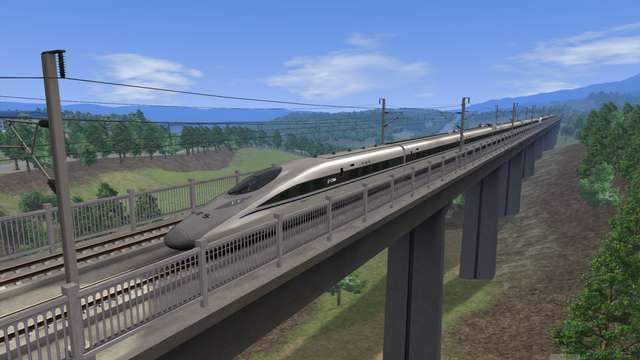 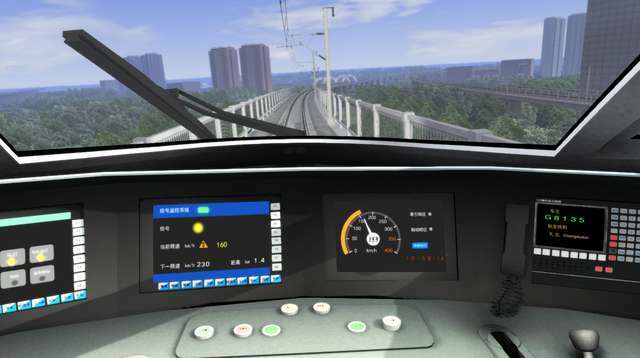 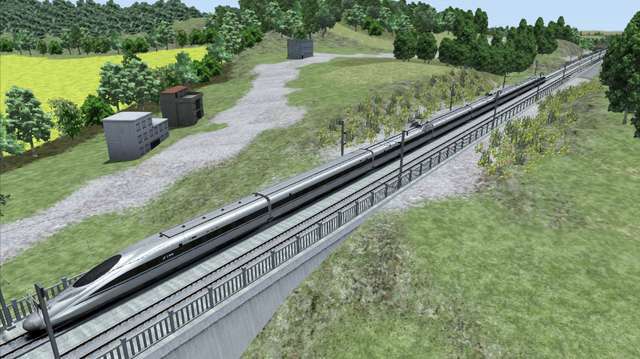 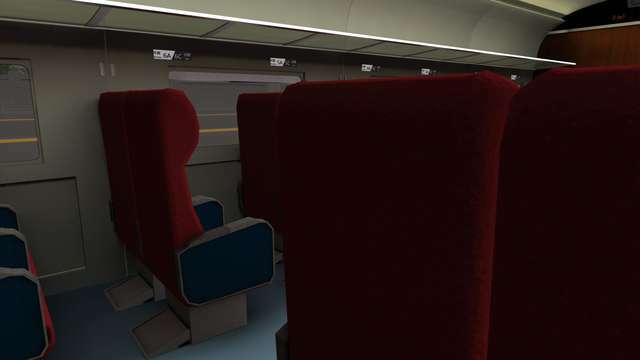 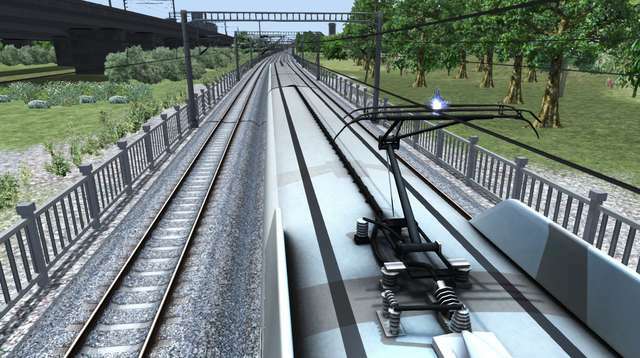 This scenario will teach you how to drive the CRH380A high speed EMU. 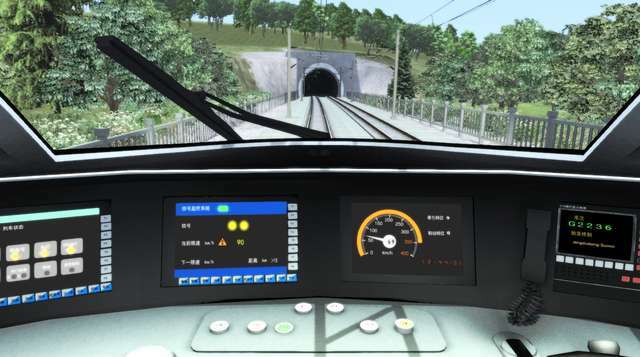 Drive the CRH380AJ comprehensive inspection train to reach 442 km/h in the test. 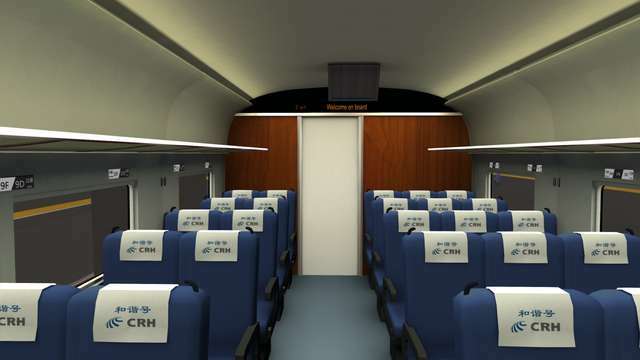 Drive the CRH380A on an evening express from Guang’an to Chongqing. 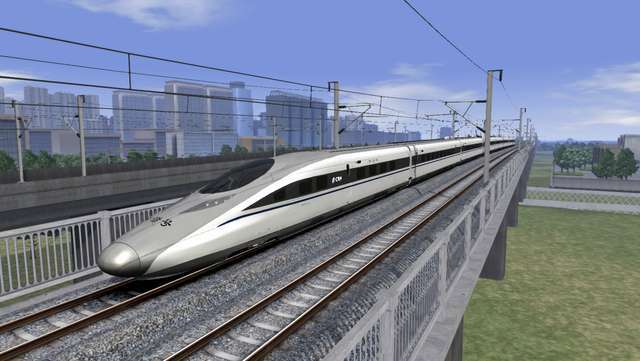 Drive the CRH380A from Chengdu to Chongqing in 57 minutes. 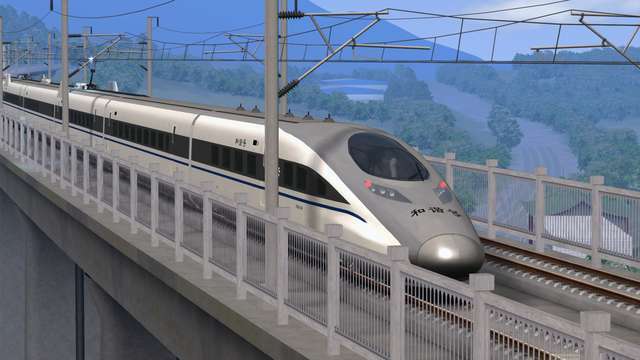 Drive CRH380A from Nanchong to Suining via Hechuan in poor weather conditions. 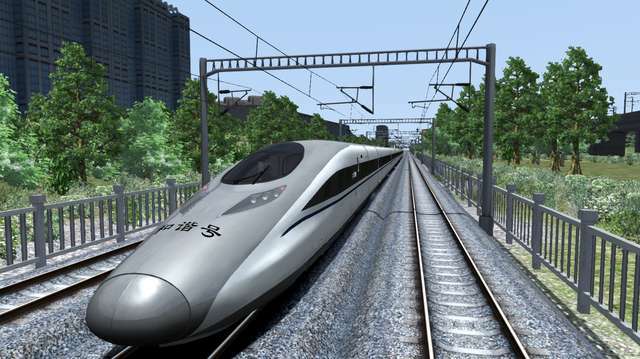 Drive Chongqing to Chengdu via Suining on a fine day. 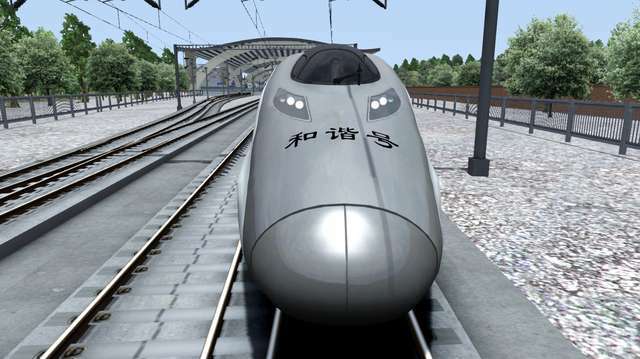 Drive the CRH380A from Nanching to Guang’an in bad weather. 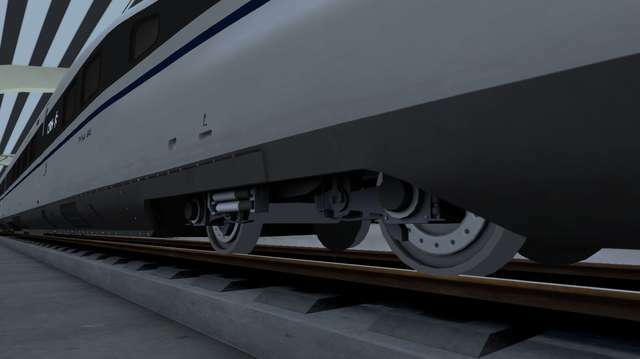 The CRH380A is Quick Drive enabled and can be driven on any suitable Quick Drive-enabled electric powered route of your choice. 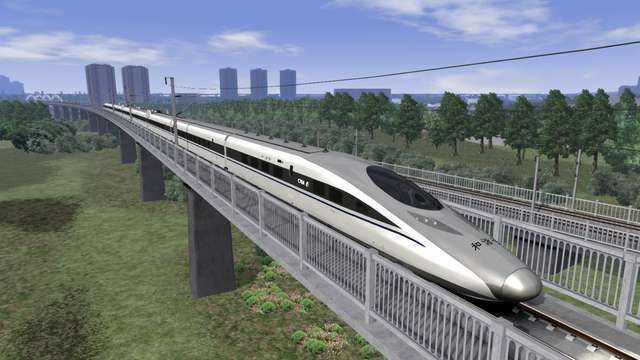 Note: Scenarios require the Southwest China High Speed Rail Network route. 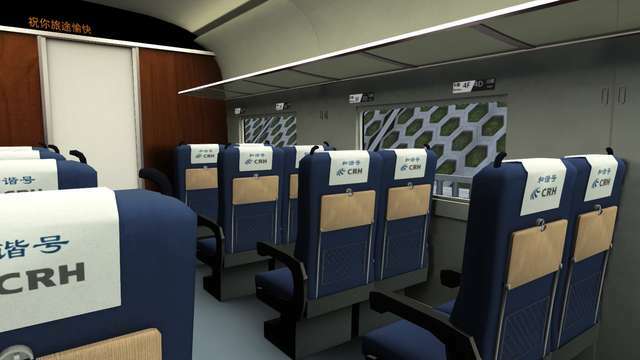 This highly detailed package of the advanced electric CRH380A high speed Chinese loco features state-of-the-art flat-screen glass panels in the driver's cab, the CTCS-3 speed and signalling system, Cruise Control, audible driver alerts and detailed Passenger View. 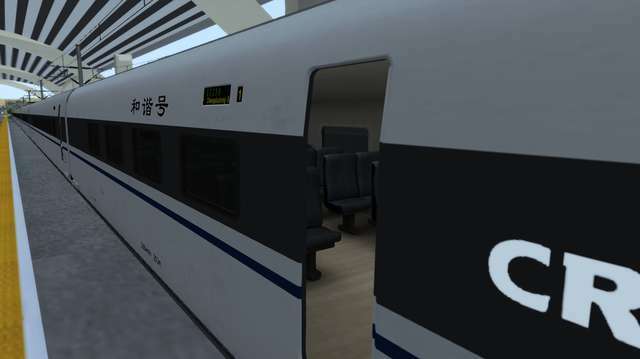 A CRH360AJ comprehensive inspection train model is included and other features include pantograph spark/flash, custom sounds and service number display on the exterior of the coaches. 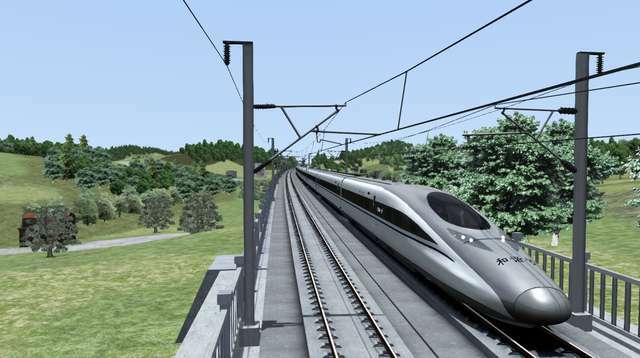 Need a high speed route for your CRH380A?